Described first over 60 years ago, the use of small amounts of the natural hormone Human Chorionic Gonadotropin (HCG) in combination with a low-calorie, low-fat diet was shown to be effective in losing weight rapidly in books and published studies. The HCG, helps a good eating plan become a great diet. 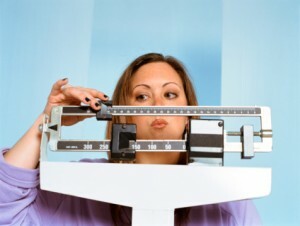 You cannot lose weight taking HCG alone without the right diet. Patients have lost nearly 20 pounds in their first 4-5 weeks on the HCG plus a diet similar to what we offer at Onestop Wellness. Moreover, during the last 60 years, there no reports of safety concerns involving using tiny doses of HCG in this manner. New research has been done using the HCG as a sublingual (oral) dose and shows an average of 17.6 pounds of weight loss in 4 weeks. We have had other patients, many of whom could not lose on any other diet, lose 30-50 pounds on our HCG formula with approximately 90-100% of the weight loss being pure fat according to our body composition analysis testing. Experts now believe that these low doses of HCG preserve lean muscle mass while aiding in the selective burning of fat when used with a low-calorie diet. The HCG may also trigger a receptor in the brain for endorphins. This is the receptor that causes a feeling of fullness and satisfaction after exercise. The avoidance of the typically addictive foods like sugars and flour resets and erases the brain’s addiction and dependence on these foods. You will not longer crave these bad foods whether you are hungry or not. Who should not do this diet? However, if you happen to have any of these health problems there are alternatives to the diet that may be implemented so you can still have the benefits and results from a practitioner guided weight loss program. What is the cost of the HCG diet program and what does it include? 15,000 unit pure HCG sublingual supply for 30 days ($80 value). 15,000 unit pure HCG sublingual supply for 30 days($80 value). FREE box of shakes or bars ($12 value) at each follow-up HCG refill.